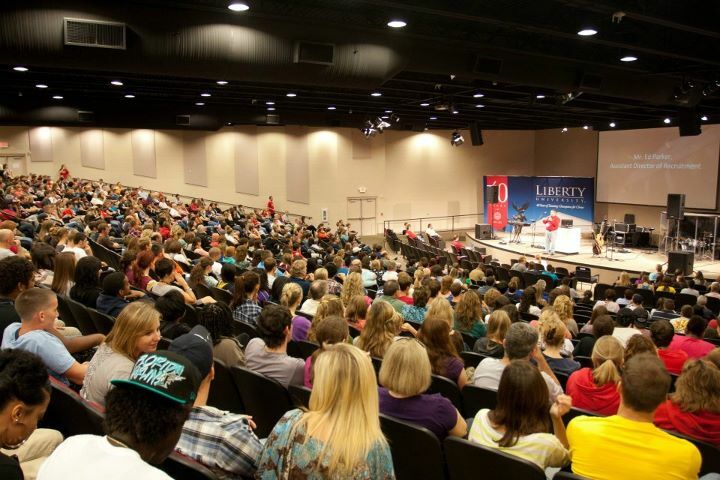 This weekend is “College for a Weekend” at Liberty University. It’s exactly what it sounds like -- hundreds of high school students come to campus to see if it’s the right place for them. Before I became a “philosoflower” (as Jesse likes to call me) I was the event planner, and the Welcome Rally was always my favorite part. I’m not sure exactly what I loved so much about it, but I think it was this feeling I experienced when I looked out over the massive group of people who had traveled from all over the country (and world!) to be at the event we planned. It was humbling and exciting to think about the potential inside that room! I don’t think students go to Liberty to just get an education, although that’s a part of the process. I think what draws them is the desire to live beyond themselves and be a part of what God’s doing in the world. They go to be champions for Christ who don’t quit. They learn the truth, they walk in love and they share. Being a part of their story is really special. Earlier this year I felt the Lord leading me away from that assignment and onto something else that was unknown to me at the time. That “unknown” is now known as Philosophy Flowers, and someday I’ll tell you the amazing story of how that happened. But today I’ll tell you trusting the Lord bears sweet fruit. I’ll also tell you that His plans for you are above and beyond anything you could have ever dreamed for yourself. 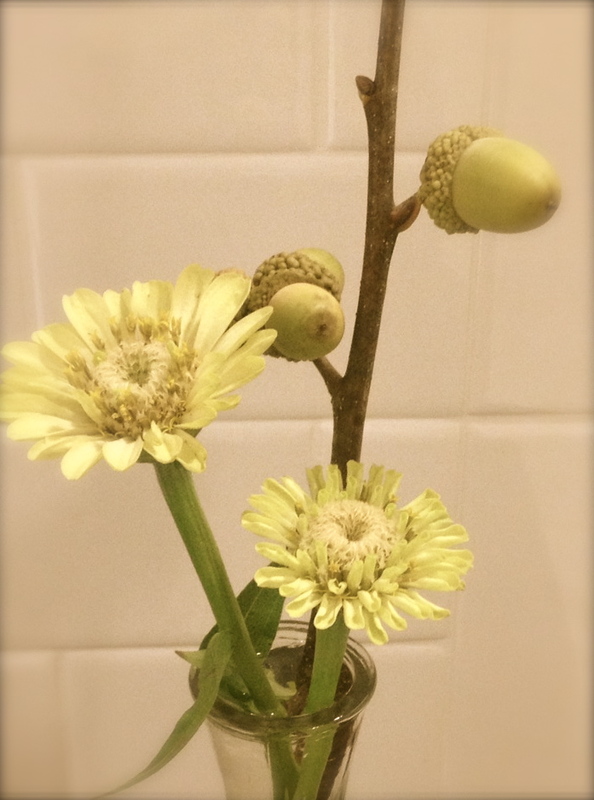 I still get to be a part of this special event called “CFAW” and make lots of flowers for the guests and staff to enjoy. God’s glory dwells in the flowers He created and in the hearts and smiles of every one of those students. I pray that each student will grow up to be excellent at what they do because an excellent God dwells in their lives. P.S. I love acorns (!!!!!!!!!!!!!!!!! ), and yes, I practically climbed a tree to get these. 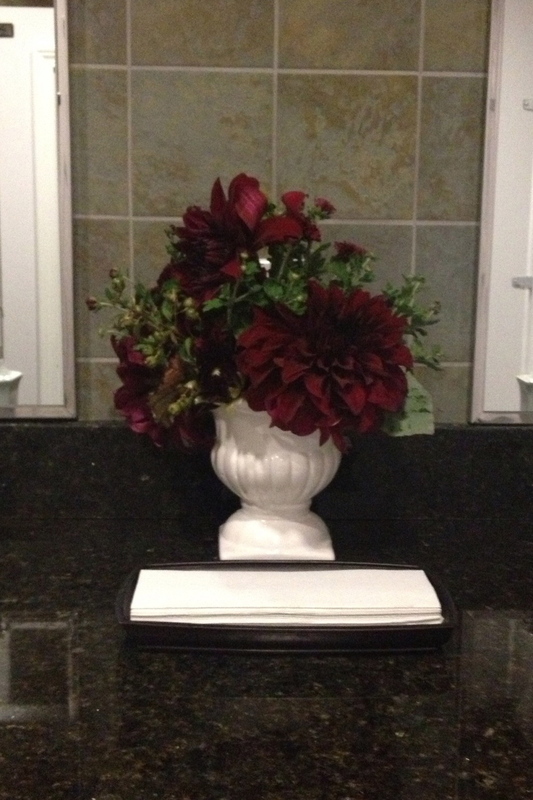 Oh and I took this school-spirited arrangement to my friends at the Wingate Hotel. Lots of CFAW parents stay there, and I thought it would be fun to have in their lobby this weekend.